The Bachelorette closed a successful season with Jillian and Ed getting together. We’ve got your full report of the finale and the After the Finale Rose July 28 reunion as well as the America’s Got Talent recap. and Reid and Kiptyn took a few moments to tell the world that love hurts. No big announcements, no breakdowns, no huge confessions. Amazing. get to see people performing their talents, because that’s the part of the show I like. Don’t miss my visit to the Ruby set here! number, a Tyce Broadway routine and my favorite, the Quick Step! In an episode right out of the old TV show Mission Impossible, the team fakes a deadly viral outbreak at a hospital in order to get a thief to cop to the location of the stolen loot. Masters and the chefs will have to create a signature dish, only it won’t be their own. Alfre Woodard has joined the cast of Alex O’Loughlin’s Three Rivers. Toby Maguire’s mother and younger brother will be the stars of a new reality series about their struggles in Hollywood. All Flavor. No Bite. 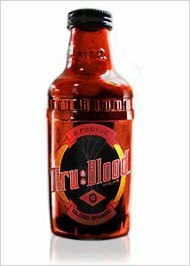 Tru Blood the beverage will soon be available in stores. You can preorder yours now at the HBO website store. Leverage — Pictured: Timothy Hutton, Beth Riesgraf and Gina Bellman. Photo: TNT.